boy, do i wish today’s post was entitled YOGA: A BIKRAM NEW EXPERIENCE. i am so sad that i still have not made it to hot yoga. that was supposed to be a new experience last year, for heaven’s sakes! instead, you are stuck with a yogurt review. lame, i know. this is what i thought of this liberté brand: it was fine. to be honest, i didn’t taste much difference between regular yogurt and this greek yogurt. 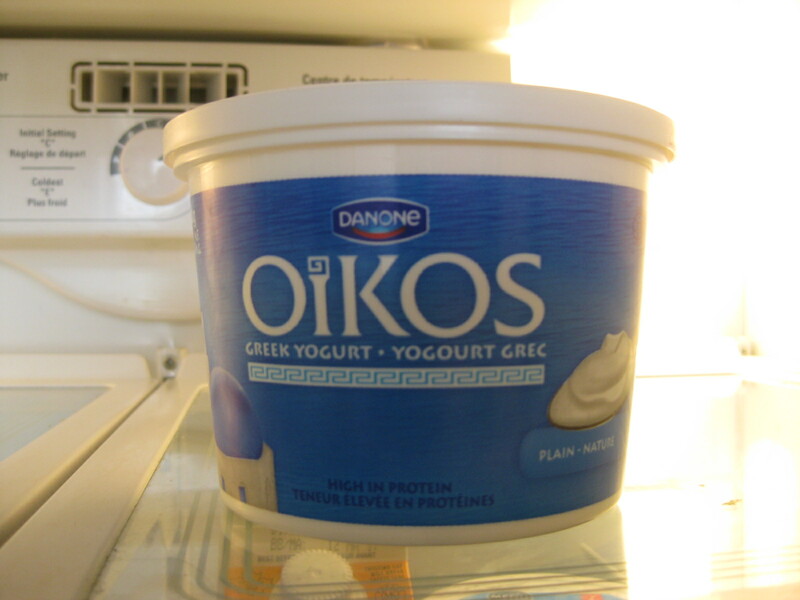 i bought the greek because this brand delivers a whopping 18 g of protein per 3/4 cup serving. so healthy, so satisfying! (although, is there anything that does not taste delightful with the addition of chocolate chips?!). ok, then! since i did not mind this yogurt (i repeat, the consistency was similar to non-greek types) at all, what does that say about my taste buds??! you can read the globe and mail article here, if you wish. 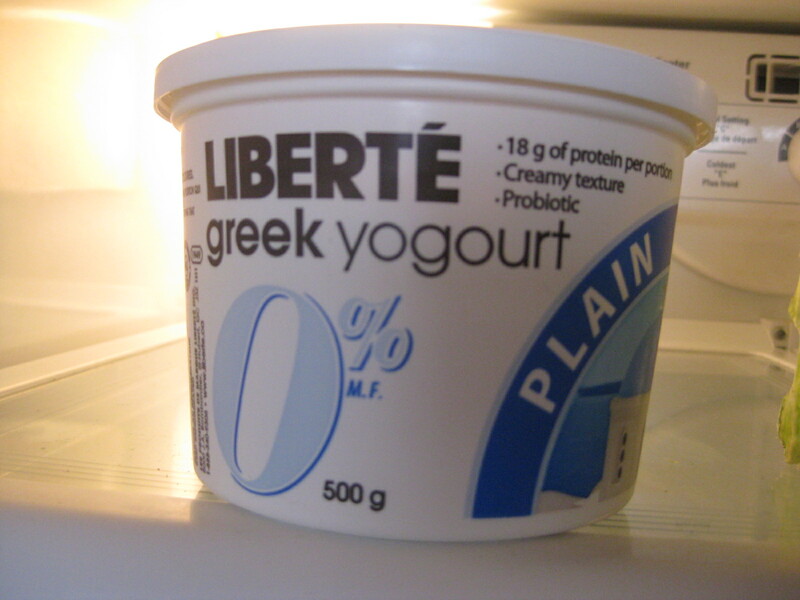 [i had forgotten that liberté was on the yuck list when i made my greek yogurt purchase – it was on sale, that was the motivating factor]. we’ll see if there’s much of a difference! what is your favourite type of yogurt? (this mundane question is perfectly fitting for a less-than-scintillating blog post). i like silhouette or president’s choice brands for regular, plain yogurt. i also quite like kefir which is like a really runny yogurt, if you have not tried it. question, bloggies: does chobani live up to the hype, in your opinion? seven balls of yarn later...(the colour sequence is 1,2,3,4,3,2,1). whew, that was quite the project! it is a one-of-a-kind because i do not anticipate ever again knitting a blanket entirely in seed stitch on 2 mm needles with sock yarn. 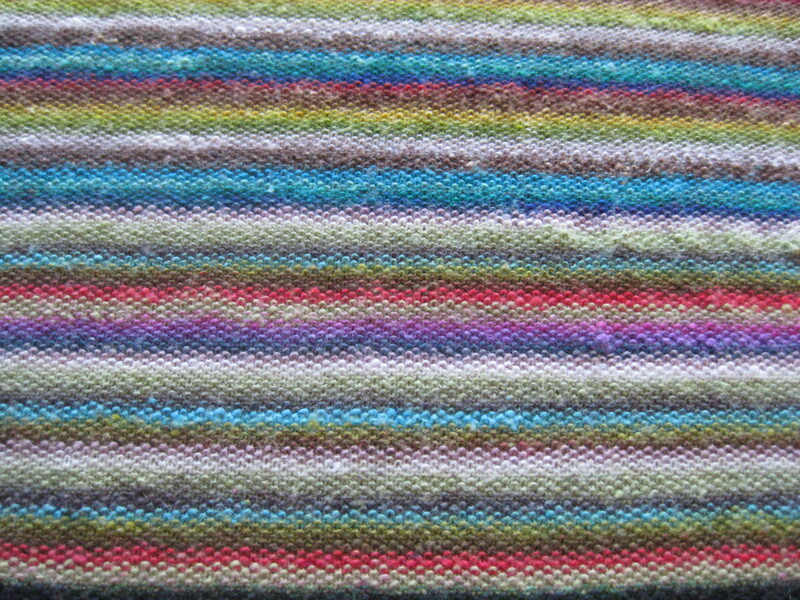 close up - i'm pleased with how the seed stitch pattern works well with the variegated yarn -> texture + colour! and i will reiterate that i am banned from making any more baby blankets until i deplete my stash! I mostly buy Chobani – the lemon and the pineapple. 4/$5.00 I sometimes buy Oikos but that might change to much more often now that I have found a key lime flavor Oikos. It was excellent!!! The store that carries that flavor is on the other side of town but is on my regular weekend bus route. key lime??! that sounds great! i am not a fruit-flavour fan, but citrus would be a refreshing taste, i imagine. 4/$5 is a great price! 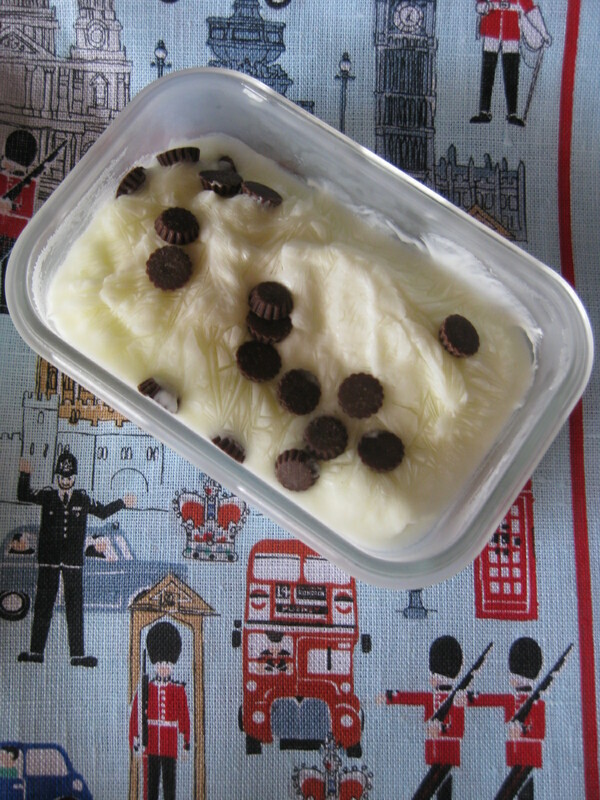 the small yogurts are so handy to take as part of lunch or for a snack! The blanket is beautiful! Wow! My favourite yogurt is President’s Choice Caramel kind! That is like a treat for me. I do like the Balkan style French vanilla yogurt, too. Yum! thanks, tricia! oh good!! thanks for the pres choice recommendation! caramel? yum!!! i bet that would taste great frozen! and i am with you on being a fan of french vanilla!! The blanket is so cute. Lately, I’ve been buying the trader joe’s nonfat greek yogurt, which works fine (I eat it for breakfast, with nuts and cereal [and a little sugar depending on the type of cereal]. Chobani is also good, but pricier! I’ll buy their flavored yogurts when they’re on sale. thanks, zo! oh man, yet another instance where i would love to try a trader joe’s product!! thanks for the feedback on chobani…i hear so much about this brand – i’m curious! Too bad you’re banned from baby blankets, cuz I’d like to buy one from you in June. Lol. I went to hot yoga yesterday (not bikram, but heated power vinyasa–same hotness). I highly recommend hot yoga—maybe not all the time, but it’s an interesting experience to see how your flexibility changes in the heat! This might be a good feeling for you if you have any tight spots (I’m thinking runner’s hips?). I like greek yogurt, but I am mostly a fan of the full fat Fage variety. I have a “thing” against low fat dairy….I think if I bought a greek yogurt that had the texture of a regular yogurt, I’d be really disappointed! you are welcome to a blanket from my stash, lisa!! the sooner i pass them along, the sooner i can make another! 🙂 i think FAGE is a brand that we cannot get in canada…at least greek yogurt is easy to find now – a few years ago, it was a health-food-store only item! i wish we could yoga together – i’d be in for any type of hot yoga! Cathy, come with me to Bikram! I go at least 3 times a week and adore it. There is a really awesome ladies only class on Saturday at one. This has the added advantage of no heavy breathing grunting men and LOTS of amazing female energy. i would LOVE to bikram yoga with you, kim!! that would be so cool to do a female-only class…i work every saturday but maybe there is another class that would suit us both?! and we still have to go for coffee to dvlb!!! That blanket is Beautiful, Cathy! You are just like Ele…amazing with your knitting! I agree the best part of Greek yogurt is the protein. Some of them taste better than others. I’m kind of partial to the kind that just has honey in it. Have a great weekend! thanks, fran! ele knits??? how did i not know??! she has to tell me more!!! president’s choice brand (only available in canada) has a honey greek yogurt – i may have to give that a try! happy weekend! your knitting skills and determination are amazing! thanks, ele! 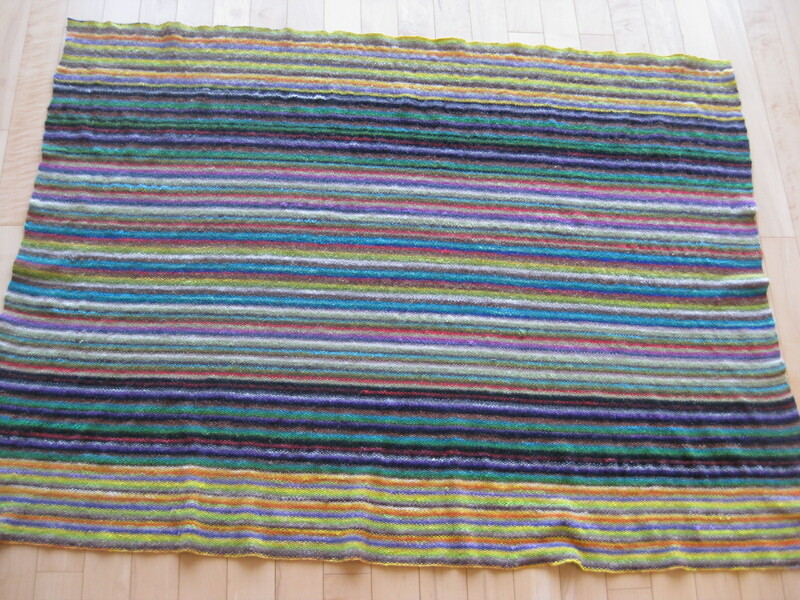 some people paint watercolours, do pottery, weave…i knit!